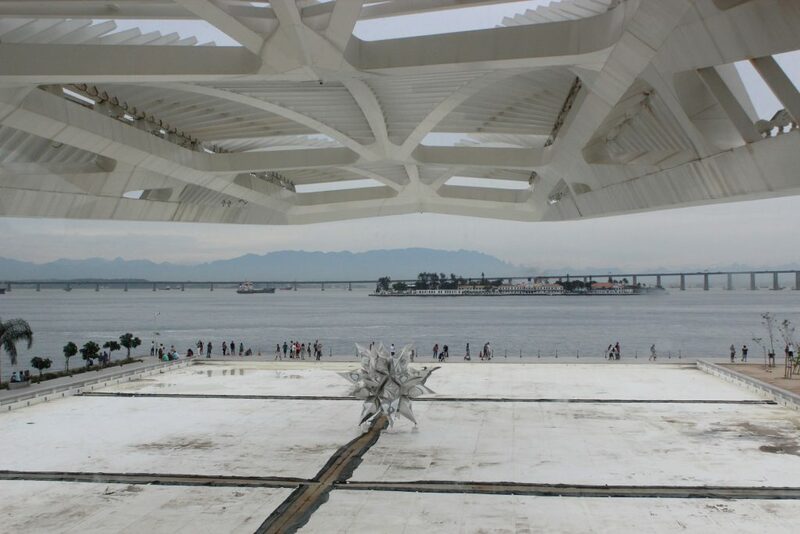 The Museu do Amanhã (Museum of Tomorrow), in Rio de Janeiro – Brazil, is a different science museum. 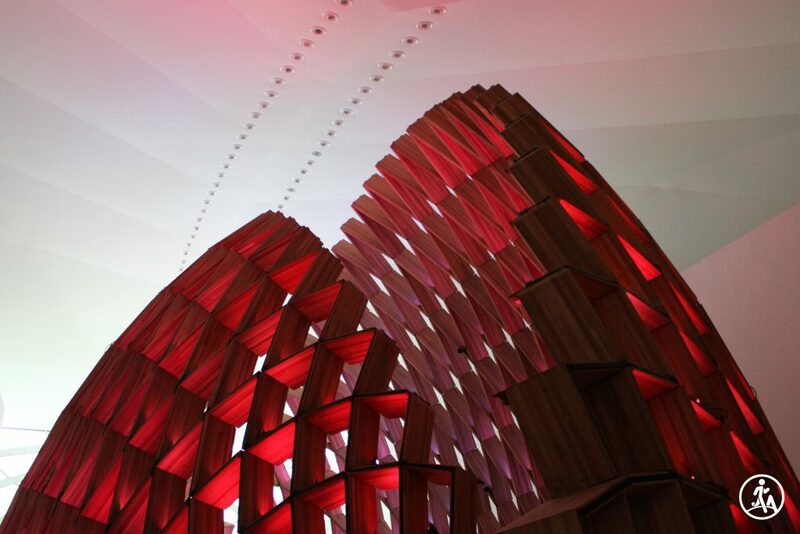 A space erected on the ethical pillars of Sustainability and Coexistence, which explores the era of deep transformations in which we live and the possible paths for the next 50 years, according to the description of the site. 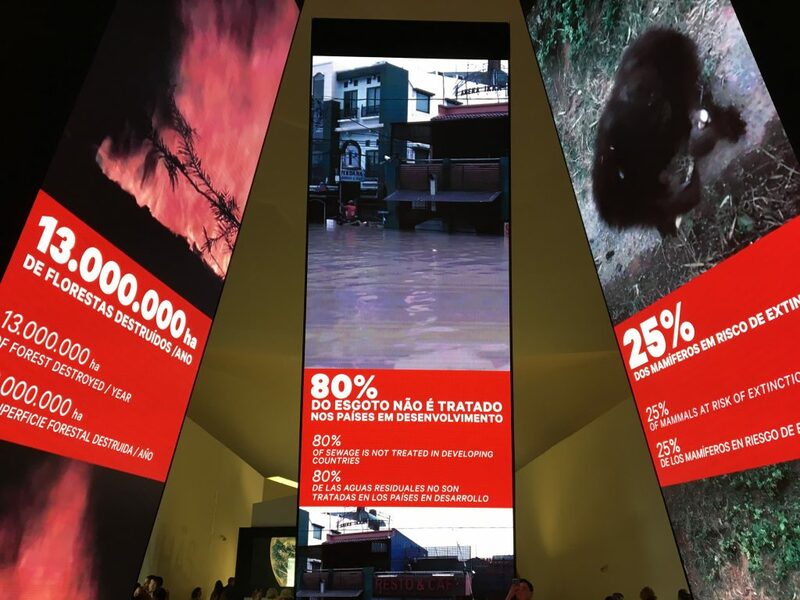 Technology used in the museum is very high, in several areas people can interact with the screens and identify the role of humanity in the development of the planet. Upon entering the museum all visitors receive a card that can be used to receive suggestions from the virtual assistant of which facility to visit in sequence. The virtual assistant is prepared for English, Spanish and of course, Portuguese. The museum have several exhibitions during the year; on the second floor a main exhibit is fixed and divided into five major areas: Cosmos, Earth, Anthropocene, Tomorrow and We with over 40 experiences. 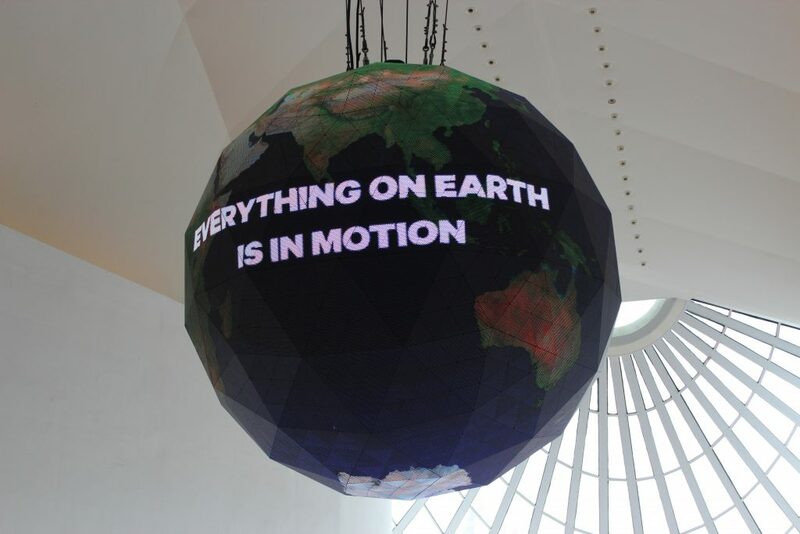 Some data is updated in real time, such as pollution data, so the exhibition changes over time and will never be the same. Temporary exhibitions can be checked directly on the museum’s website. Whoever plans to visit the museum I advise buying the tickets online so avoid queues that can spend 1 hour and have to stay below of Rio de Janeiro’s sun, which makes the task even more difficult. Every Tuesday admission is free, however to avoid clutter of people the amount of tickets is limited, so if you decide to go on this day, get up early. When I visited the museum the water mirror outside was covered which slightly damaged the view of this great building. Try to avoid going by car; the museum doesn’t have a parking lot. The nearest subway station is Uruguaiana. Payment in cash, credit or debit cards. You Will Walk Around Brazil!